The Netgear Unite Explore is one of the top hotspots on the market. We are excited to add it to our collection of unlocked mobile hotspots. 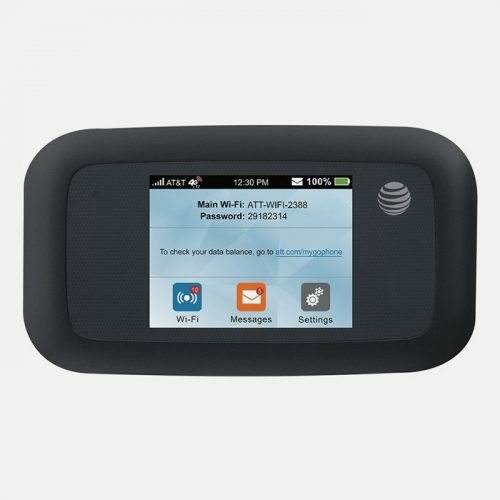 This device works with T-Mobile, AT&T and all other GSM networks. This hotspot is Brand New and is covered by the Mr Aberthon warranty. The device will come with a charger, door and battery. Portable Wifi hotspots, like the unite explore, are fast becoming the go-to solution for office internet and overseas travel. Why replace the SIM in your phone and risk not being able to take an important call? Why pay extortionate roaming charges from your carrier, when you can add a local SIM card and pay local charges? 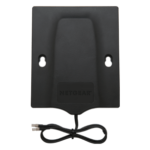 The designers built the Netgear Unite Explore to comply with military grade specifications. They prepared for things like shock and water protection, without sacrificing on any other expected features. 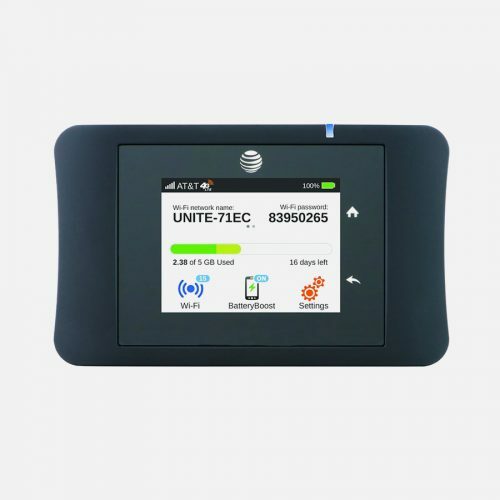 Although the device is officially branded as an AT&T Unite Explore, it is completely unlocked and is therefore compatible with all GSM sim cards. How and why did we do that? Well, we are there for our customers and understand the advantage to buying an unlocked device. This AT&T device used to be locked specifically the AT&T network. That means that if you were to buy it as it were, you would have no choice but to go with the AT&T service. It sounds great, yet there are many more networks that may suit you better or ask for a lower rate for the same data plan. Hence us unlocking the Unite Explore hotspots, to enable you to use any service you so choose. 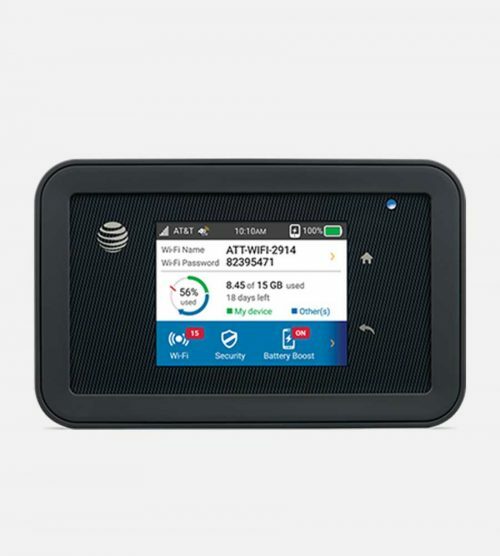 This Unite Explore is therefore compatible with AT&T and T-mobile throughout the USA, and almost all GSM sim cards across the world. If you have any questions about compatibility, please feel free to reach out to our customer service. They will tell you if the Unite Explore is compatible with your specific network. How Rugged is the Unite Explore? Rugged, as in, tough and durable. The Unite Explore is the most rugged hotspot available on the market. The Unite Explore complies with the Mil-STD 810G standard. This means that it’ll sustain being dropped onto a hard floor without breaking. It can survive being submersed in up to 3 feet of water for 30 minutes. It is also dust-proof and able to withstand extreme temperatures. You can basically turn the device on, throw it in your bag and forget about it. It’s also small enough to fit in your pocket, without the worry of banging it against a table corner. The picture to the left shows the back of the unite explore as it appears when opened. The back case is extremely tough and has a very tight fit when placed over the back. Behind the battery is the product information. There is a place to insert the SIM card on the right side of the back. The battery is almost as large as the device (and also approx half of its width). The powerful battery is extremely effective, enabling the device to be used for almost 24 hours without needing a recharge. We have Unite Explore batteries available for sale. The outside of the device is protected with a rubberized protective casing that grips to surfaces and avoids slippage. Summary: The Unite Explore is without a doubt the top hotspot on the market. It’s current price, temporarily reduced to $149, makes it the obvious choice when looking for a hotspot. Everything about the Unite Explore is noteworthy. 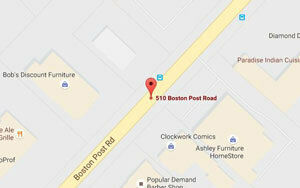 It is leaps-and-bounds better than the other hotspots in its arena. Click here to read a comparison with the Unite Pro. Battery Boost feature to charge your phone/tablet on the go from the battery in the Unite Explore (cable sold separately). You need more? It has USB 3.0, WiFi Technology AC1200 and 4G LTE Advanced Cat 9 + 2X Carrier Aggregation. 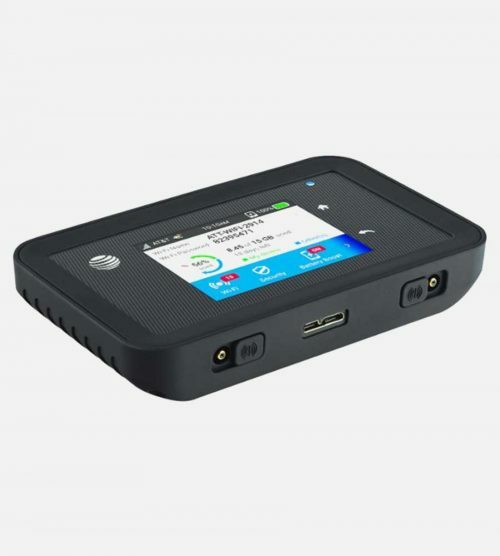 The hotspot also has global compatibility, full color touchscreen and cable tethering. And all in a device that weighs less than 5 ounces. If you’re wondering how heavy that is, it’s about the same as a double espresso, without the cup. Unlike many of the other hotspots on the market, the Unite Explore has incredible security protocols in place. This device is also the first hotspot to offer parental control capability. You can flag a website, disabling all the devices connected from navigating to that URL. You can input every website address directly in the devices settings. There are also options for internet filters, . You will be able to select your level of filtering. These filters will greatly help protect your devices from unscrupulous internet attacks and harmful internet content. The Mimo Antenna (not included) isn’t for everyone. Almost no one purchasing the Unite Explore will have to worry about purchasing an antenna for their hotspot. Those, however, who are living within extremely remote areas may need to buy an antenna. Anyone who experience choppy network coverage, will likely want to connect the Unite Explore to the Netgear Mimo Antenna. The Mimo Antenna will extend your internet receiving capabilities considerably. The antenna works both indoors and outdoors. 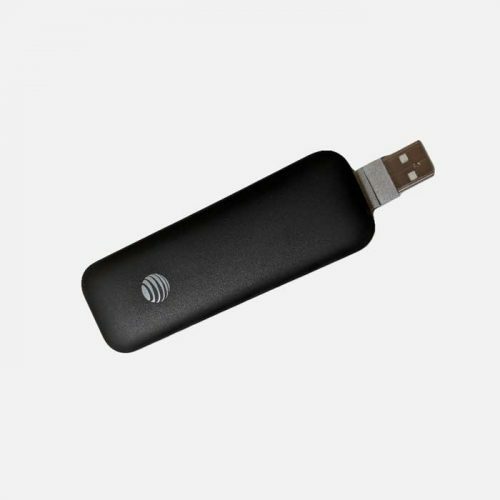 It plugs easily into the bottom of the hotspot device, and can improve the coverage by up to 50%. We recommend the Mimo Antenna. You can purchase it on the Netgear website. Please note that there are other antennas that are also available on the market. Mr Aberthon ranks the Unite Explore as the “Best Hotspot on the Market”. Based on current data, there isn’t a hotspot in the market that stands shoulder-to-shoulder with the Unite Explore. There are 2 hotspots that are available at AT&T (which AT&T are only selling as locked devices) the Unite Explore and the Velocity. The Velocity is a good hotspot, but it doesn’t come close to the specifications and power of the Unite Explore! We have set the price of the Unite Explore for $149 as a limited offer that will expire soon. Q: What size SIM card fits into the Unite Explore? A: This device uses a Micro SIM card. There are three sizes of SIM cards: Standard, Micro and Nano. Micro is the middle size and can be found at your local network store. The network is responsible to giving its customers compatible size SIM cards, so ask them for one when you set up this data plan. Q: Is this device unlocked? What networks will it work with? 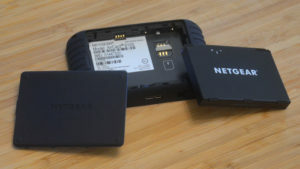 A: This is an AT&T Netgear Unite Explore. 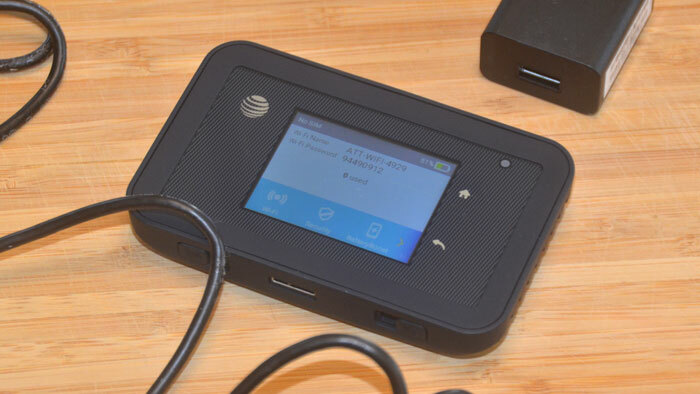 Netgear created it special for AT&T with its logo and characteristics. However, here at Mr Aberthon, we are selling it unlocked to all GSM networks worldwide. It will work on AT&T, T-Mobile, Metro-PCS and any other GSM network. Verizon and Sprint are CDMA networks and are therefore not compatible. Q: How rugged is this hotspot? A: Being that it complies with Mil-STD 910G military standard, it is safe to say that it is very rugged. It is waterproof up to 3 feet of water for 30 minutes as well as being dust proof. This is one of the most rugged hotspots on the market today. If rugged is a priority for you, then the Unite Explore is the way to go. Q: How many devices can it connect to at once? A: The Unite Explore is built to connect to 15 devices at any given time. It has a guest feature as well which enables the user to create a one time password as well as limit the Wi-Fi time for the guest. Q: How long will the battery last? A: The battery on this device will work up to 20 hours. That is more than enough time to get all the work you need done, until it needs another charge. On top of that, it includes battery boost so it can give charge to other devices as well. All of the items on the Mr Aberthon website are completely covered by our 14-day return policy. If you choose to return your device, you will receive the full refund. Mr Aberthon does not charge any additional restocking or handling fees. In order to qualify for the return policy, the product ID number will have to match the number on the device that we sent out (to protect us against scammers and fraud) and the device will need to still be in mint condition. Please note that we will only enable overnight shipping if we have the ability at that moment to fulfill the overnight shipping. Extra costs may occur for the customer due to duty and taxes.